Flip Out Mama: K'nex Review: Just as Fun As You Remember! Do you remember K'Nex? I never had them when I was little, but I lived next to a house full of four boys, and I always had fun playing with K'NEX when I hung out at their house! We could literally play with those things for hours without getting bored! So, when I got the chance to review some K'NEX toys for Tater, I was super excited! I knew these would be right up his alley! He is so creative, and he really likes to build! I was honestly blown away by how far K'NEX have come since I was a kid. 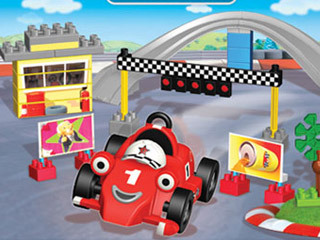 They seriously have Mario Kart Kits, Orange County Chopper Kits, Sesame Street Kits, Nascar Kits, Monster Jam Kits, etc!! !I was completely in awe of how cool these things have gotten! But I must say, I was really happy to receive a "classic" K'NEX kit to review! It took me back to my childhood LOL! We received the K'NEX Classics 30 Model Building Set to review with Tater! This is such a cool kit! These are the ones I remember! Oh, my boys (the big ones!) were so excited to see this package arrive! They got to work on building the motorcycle first, followed by the helicopter. There was, of course,much deliberation over what should be built first! With this kit, you can build more than 30 different things! 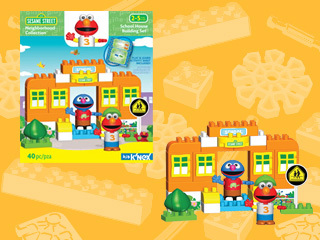 The kit includes 375 pieces, which is more than enough to build anything your little heart desires! This was the perfect starter kit for my budding little builder, and it is has been played with every single day since it's arrival! 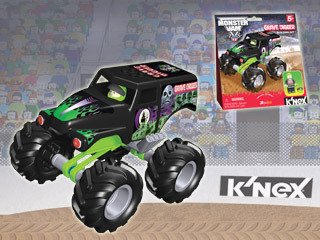 We were also lucky enough to receive two Monster Jam kits to review! We got Grave Digger and Mohawk Warrior,which were perfect for Tater! These kits were awesome! They were simple enough for Tater to do on his own, with just a little bit of help from us. They were enough to keep him busy for about 30 minutes building them, and forever playing with them! I LOVED the fact that these kits come with a cute little K'NEX driver! How cute!You build the truck and then you put the stickers on, and then you are ready to play! The box even becomes a ramp!Love it! These were a huge hit at our house, and they are affordable enough that Tater is going to start collecting all the trucks! The last set we received was the K'NEX Nascar Set. This was a really cute set! It includes enough K'NEX to build two cars: We got the Home Depot Car and the M&M's Car! These are the micro scale versions of the cars,so they are really tiny (about 3 inches in length), but perfect for a little guy to play with!! These were also really fun to build, Tater did them almost entirely by himself! It's so cute to see him build stuff by himself! The boys have also decided that they wanted some more K'NEX for Christmas, so we have added the following to our Christmas Wish List! How fun do these look?? 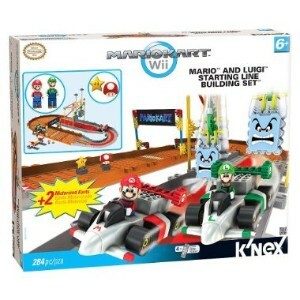 If you would like to check out the cool offerings from K'NEX, just click here! I received a sample product in order to conduct a review. Although a sample product was received, all opinions are my own and I received no monetary compensation.